Distant Thunder Studios has been proud to play a part in now 4 Custom Con events, and each year we try to bring something new to the table. Sometimes, it takes several attempts at a line before we have on ready for submission. Almost always, there are figures that didn't make the cut, or have a home in the lines chosen. So, here are some of the figures of the last year that didn't quite make it to Custom Con�until now! This figure was finished last summer, for a planned Star Wars 6" line, but when the line was scrapped, it was put away and forgotten. 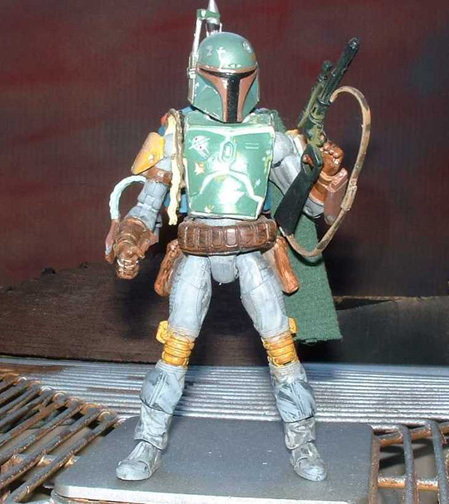 Then, when fellow Fwooshnet member Lestat showed off his great Boba Fett, it was decided to bring the bounty hunter back to life. He features 26 points of articulation, and comes with his blaster rifle. The Dark Lord of the Sith also was planned for the Star Wars line, but was never completed. It floated around on the workbench for months until Lestat's excellent version debuted. 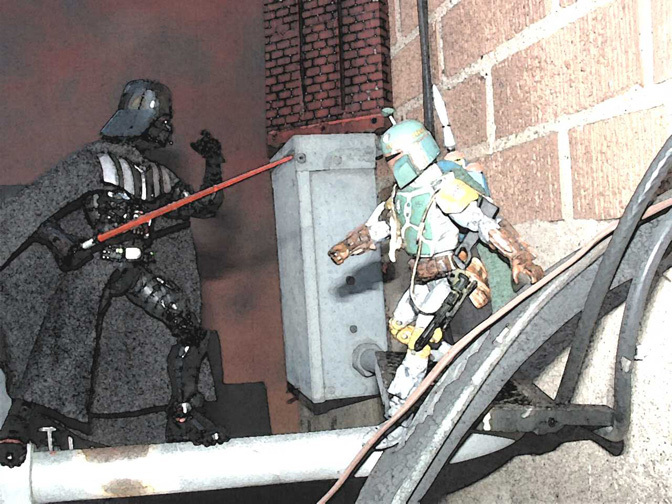 Now, Darth Vader has been brought to life in this collection. 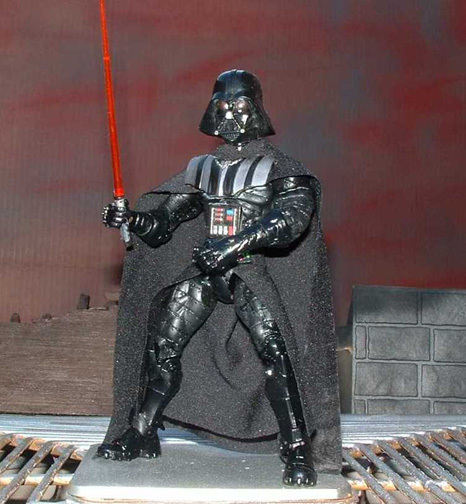 He features 32 points of articulation, cloth cloak and his lightsaber. 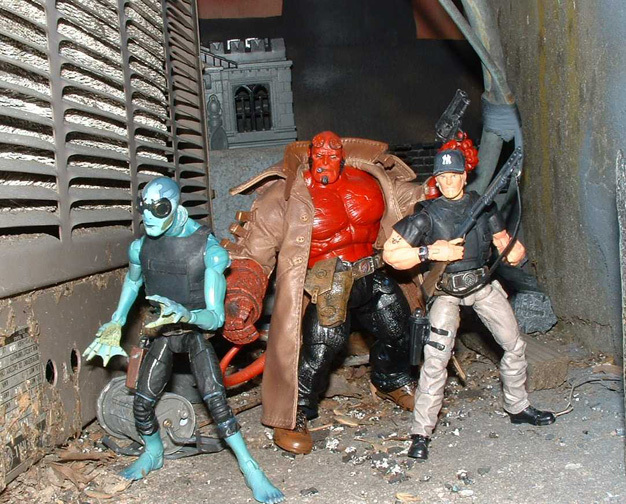 After several attempts, Hellboy was ready for his appearance in a Batman/Hellboy/Starman wave, but when a certain Bat-Tank took priority, Hellboy was set aside. The idea was to create a bridge between the movie and comic style, with the size and feel of the comics and the realism of the film. Now, he appears with a new headsculpt and removeable trenchcoat, his gun the Samaritan, and impressive 28 points of articulation. Agent D was not particularly planned for the aforementioned wave, but no doubt was going to sneak his way into one line or another. He has 28 points of articulation, removable flak jacket, a .45 sidearm, shotgun, and a dry wit. 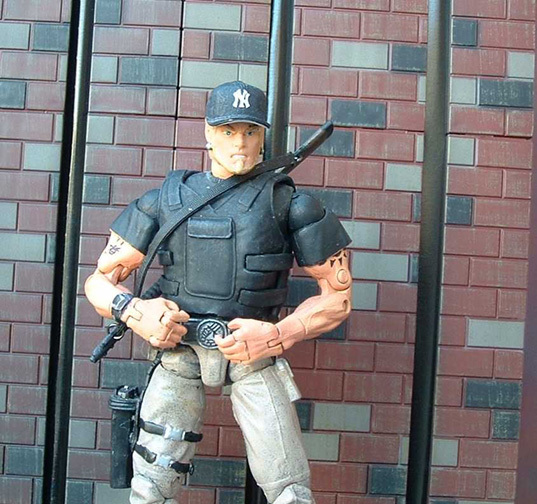 The Yankees hat is supposed to be removable, but it was found that it's best to leave it on most days. This alien hunter just couldn't find a good home. 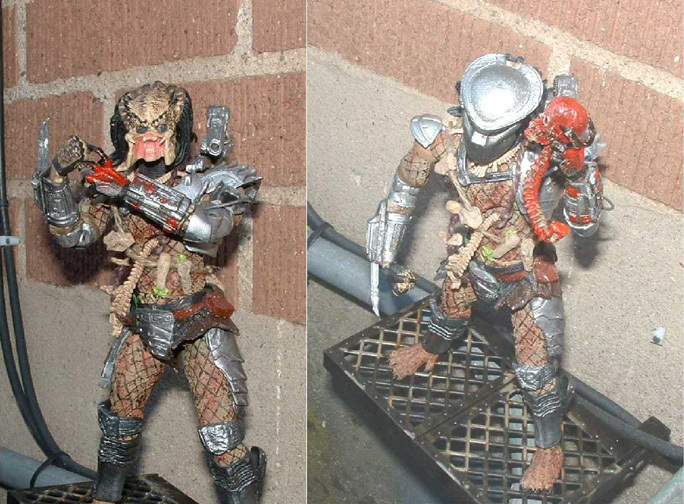 He originally was going to make it into a Movie Maniacs- inspired super-poseable line, then a Batman vs. Predator line, then bupkis. 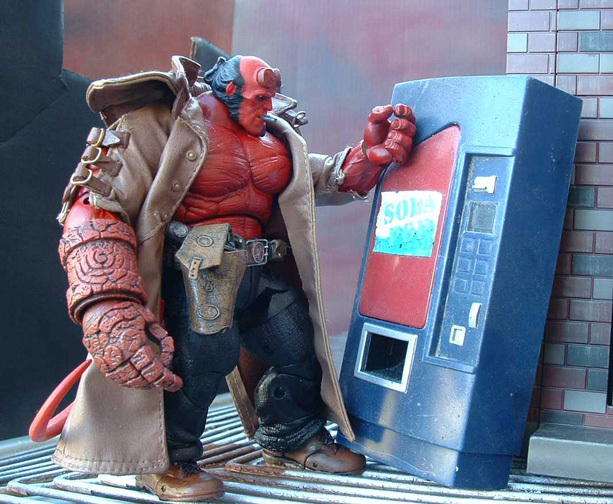 Naturally, he features the same articulation as his predecessors, but features new hinged elbows and swappable heads. He still comes with his blades, disc and skulls.